There's an elephant in the room when it comes to the world's most expensive brew. Coffee pooped out by the palm civet was once the most expensive cup of joe in the world. But after unethical harvesting practices compromised the civet-based market, a fledgling producer turned to a different species that also munches on coffee beans. Rescued pachyderms living in the village of Ban Taklang in Northeastern Thailand are the new frontrunners in processing exotic, luxury coffee. The elephants’ digestive systems use fermentation to break down the plants they eat, which also brings out the sweetness in coffee beans. To make use of this natural process, the animals’ caregivers take Arabica beans from Thailand and mix them into a fruit mash. Then, they collect the beans from the creatures’ dung (assuming they can find it). The process is extremely inefficient: 33 pounds of coffee cherries yield one pound of Black Ivory Coffee. 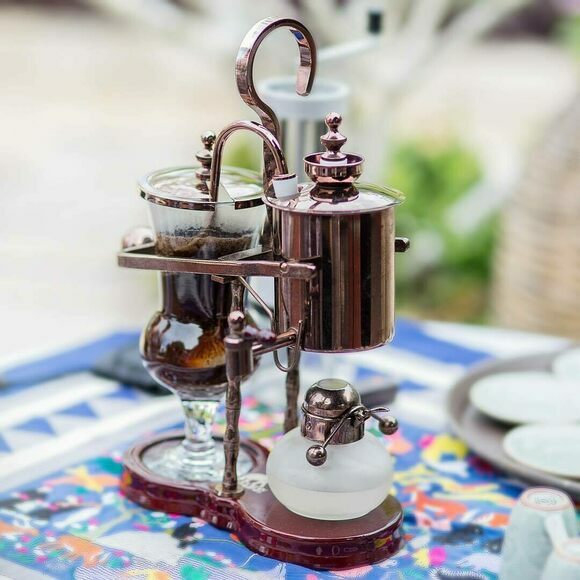 The proper way to brew Black Ivory is in a 19th-century Austrian machine. The dual-chambered apparatus functions like a siphon, and the whole brewing process takes about five minutes. Tasters generally agree that the finished product is really, really good coffee. It should be: A single serving will run you about $50. You can purchase the elephant-made coffee on BlackIvoryCoffee.com. Black Ivory Coffee is sold in Thailand, the Maldives, and Macau.